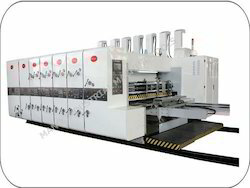 We are a leading Exporter of auto chain feed flexo printer, flexo printing machine, two colour flexo printer, auto feed single colour flexo printer, auto feed two colour flexo printer and chain feed two colour flexo printer and slotter machine from Chennai, India. We are offering an exclusive range of Corrugated Single Color Flexo Printing Machine for corrugated boxes. 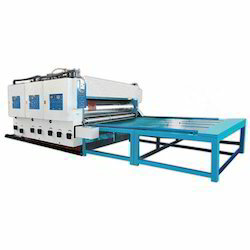 The offered range of products is available in two types such as single color flexo printing machine and two color flexo printing machine. These products are developed at our infrastructure using cutting-edge technology and premium quality raw material for the better development of offered range. 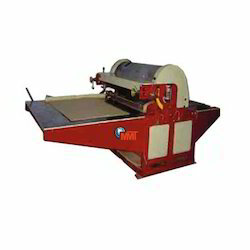 Suitable for printing and corrugated boards. 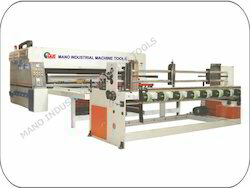 The machine is fitted with hard chromed cylinder, anilox rollers for water based ink feeding, variable speed motor, digital counter with the sensor, mechanical brake. 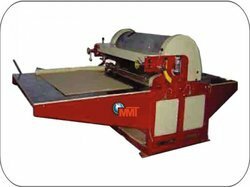 ” Corrugated Board Two Colour Flexo printing machine” heavy duty type fitted with AC motor, digital counter with sensor, Hard chrome coating on the cylinder and all roller surface, mechanical brake and with all standard accessories and Main Motor 5 HP . 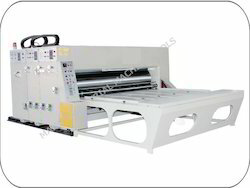 We are offering an exclusive range of Single Color Flexo Printing Machine for corrugated boxes. 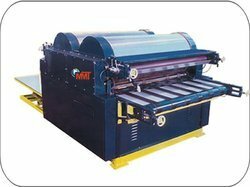 The offered range of products is available in two types such as single color flexo printing machine and two color flexo printing machine. These products are developed at our infrastructure using cutting-edge technology and premium quality raw material for the better development of offered range. 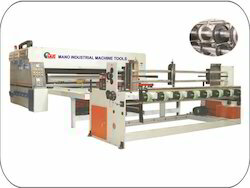 ” Corrugated Two Colour Flexo Printing Machine” heavy duty type fitted with AC motor, digital counter with sensor, Hard chrome coating on the cylinder and all roller surface, mechanical brake and with all standard accessories and Main Motor 5 HP .